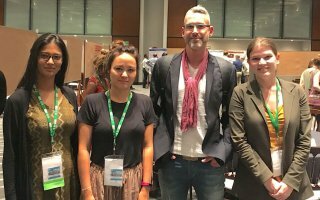 In accordance with our mission to build bridges between disciplines and actors, the Right to Education Initiative (RTE) attended the Comparative and International Education Society conference (CIES) 2018, held in Mexico City from 25-29 March. On 25 March, RTE together with the Global Education Monitoring Report, the Global Initiative for Economic, Social and Cultural Rights, UNESCO International Institute for Education Planning, and the Open Society Foundations Education Support Program convened a workshop to explore the role of accountability and transparency in strengthening public education systems. The workshop started with a lively discussion on the concept of accountability. Participants shared their understanding of what is meant by accountability, including: whether it is a universal concept, what differentiates accountability from responsibility, and whether accountability is necessary if there is trust. The workshop then focused on accountability in practice and participants shared examples of accountability initiatives that have had a positive impact on public education from around the world. On 28 March, Delphine Dorsi, executive coordinator of RTE, chaired a panel exploring the phenomenon of privatisation of education in Francophone countries. The purpose of the panel was to look at how privatisation differs, if at all, from the privatisation that has taken place in the Anglo-American world. Is privatisation of education in African Francophone countries distinct, are the causes the same, is it as extensive, are some of the questions the panelists explored. 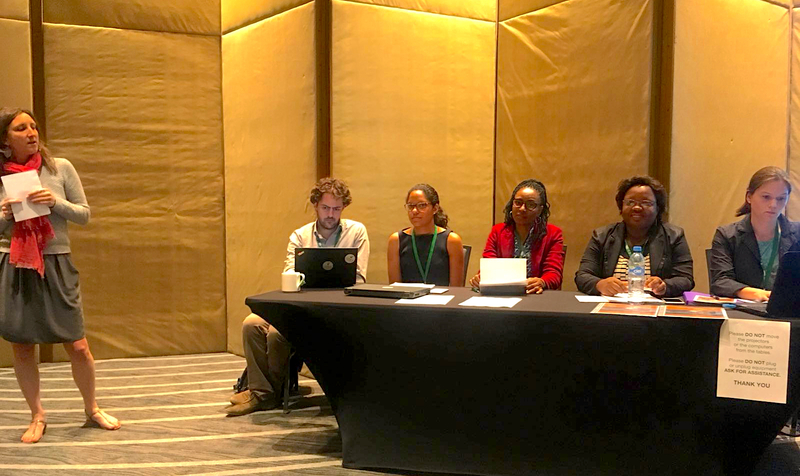 The panel was an opportunity to share experiences and research on countries that CIES, as a predominantly English and Spanish-speaking countries-focused organisation, largely neglects. Also on 28 March, Erica Murphy, project officer at RTE, took part in a roundtable exploring global governance issues in education where she presented RTE’s background paper to the 2017/8 GEM Report, Accountability from a Human Rights Perspective. The discussion largely centred on the utility and limits of human rights law in education, as well as larger topics, such as the role of values, ideology, and structures in shaping the global governance of education. Lastly, on 29 March, the final day of CIES, Erica presented RTE’s contribution to the 2017/8 GEM Gender Review, Country commitments to gender equality in education, in a panel session on girls’ education and empowerment, where she argued that international and regional human rights law is an underutilised avenue for realising gender equality in education. CIES brings together academics and students and practitioners, including civil society, donors, foundations, and lawyers to collectively explore current issues in international education and is a space for individuals and organisations to share their work with the wider education community. For more information about CIES, please visit here.